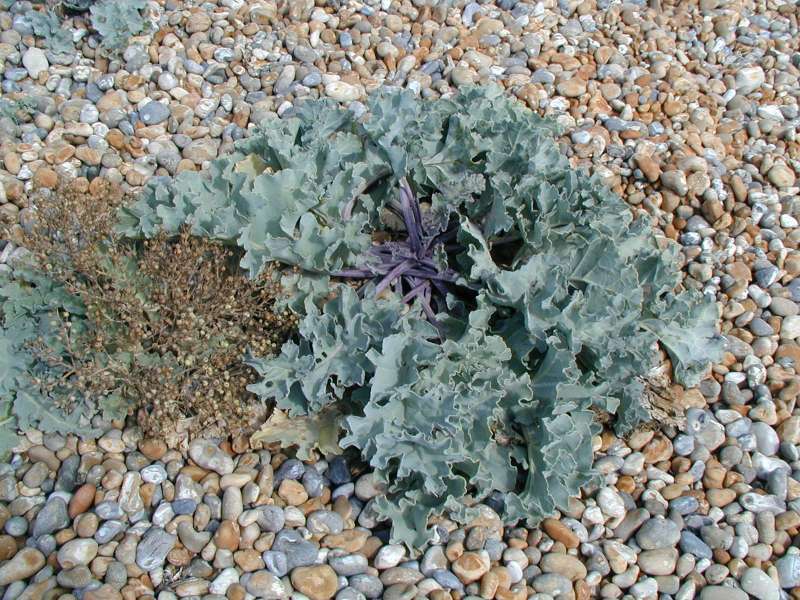 Seakale used to be cropped commercially in Victorian times and the cropping was so heavy that it became a very scarce plant, so it is now protected by law. Fortunately seeds of it are not difficult to obtain. 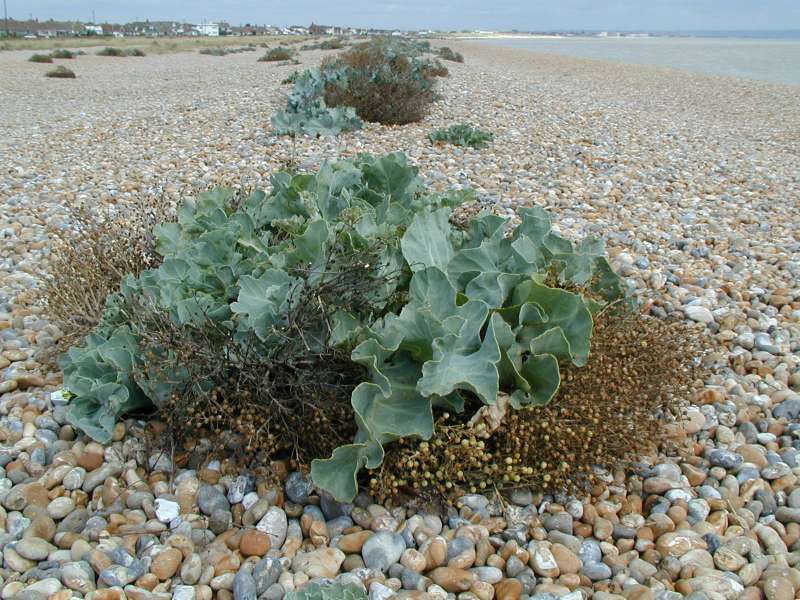 The plant was buried on the beaches in the shingle so the young shoots got blenched forcing their way up though the shingle. It was these early uyoung shoots that were cropped. However, it the young shoots are good to eat, the adult leaves might, I though, just be palatable. So I took a fairly well grown leaf and sampled it. The adult leaf is fleshy, succulent, not at all tough and quite tasty. Well worth growing therefore as a garden planty for the table.